As part of setting up the Salesforce Integration, you will want to import your existing Accounts. 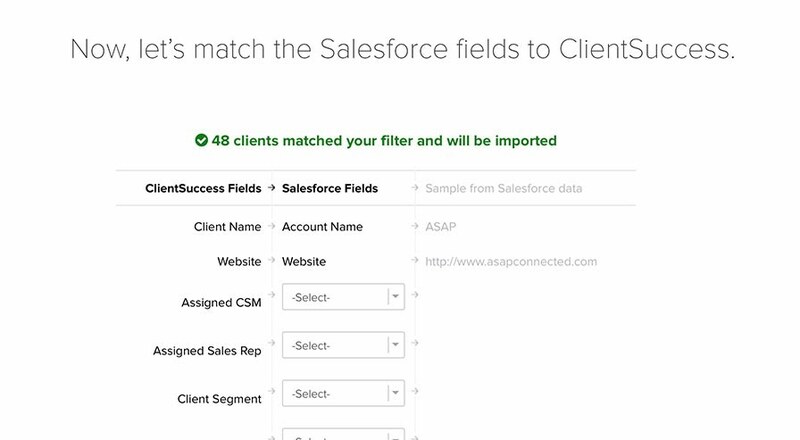 New Accounts can be automatically imported into ClientSuccess via a Salesforce workflow. Have completed the Salesforce Integration. *Note: CSMs must be an existing user in ClientSuccess for the "Assigned CSM" field to pull the Assigned CSM data from Salesforce. 1. To access the Import Wizard, navigate to Global Settings > Clients. Click "Import from Salesforce". 2. You will be presented with the Import Wizard and a count of how many clients were found in Salesforce. Add a filter for "Sync with ClientSuccess" Equals True to isolate the customers you'll want to import into ClientSuccess. NOTE - REQUIRED: The filter above will look for those customers who have the "Sync with ClientSuccess" checkbox checked in SFDC on the Account record. If it is not checked, those records WILL NOT be pushed into ClientSuccess. 3. The next screen is where you'll be able to map certain Salesforce fields to ClientSuccess. As you map each field, the Import Wizard will provide you with example data from Salesforce to confirm you've have paired the correct fields. 4. Once mapped, click 'Import.' Your client records should then import to ClientSuccess. 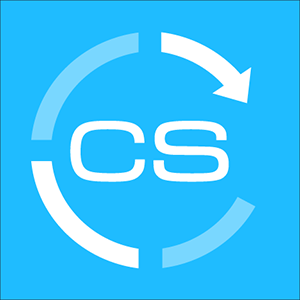 If you have any issues with your client account records coming over to ClientSuccess from SFDC after follow this document, please contact support@clientsuccess.com or reach out via the in-app help button a the bottom, right corner of the screen.